Just simply providing a piece of mind yield check on an existing system to make sure it is performing at its optimum efficiency. As experienced MCS installers we have been offering solar panel installation service since 2010.Throughout this time we have gained experience working on all types of systems and with all main stream equipment manufacturers. We have invested heavily in all the latest equipment allowing us to offer our customers the best and most comprehensive service level available. We carry a wide range of specialist Solar PV tools, including all the latest testing equipment, design software, shading analysis tools and more importantly the knowledge of how to use them, interpret the results and action any deficiencies found when undertaking solar panel maintenance and installation. 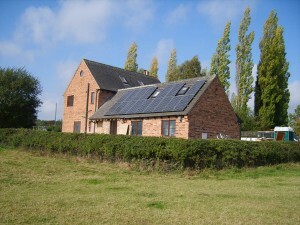 We now also offer the installation of the Solar iBoost. When a system is installed…. RECEIVE AN INCOME for the electricity that you generate for up to 20 years under the Feed-In Tariff scheme (CASH BACK SCHEME) subject to the scheme conditions. REDUCE your future electricity BILLS as you won’t pay for the electricity that you generate and use. Very low maintenance with a long life. Solar Panel cells convert the sunlight into electricity, which run household appliances and lighting.